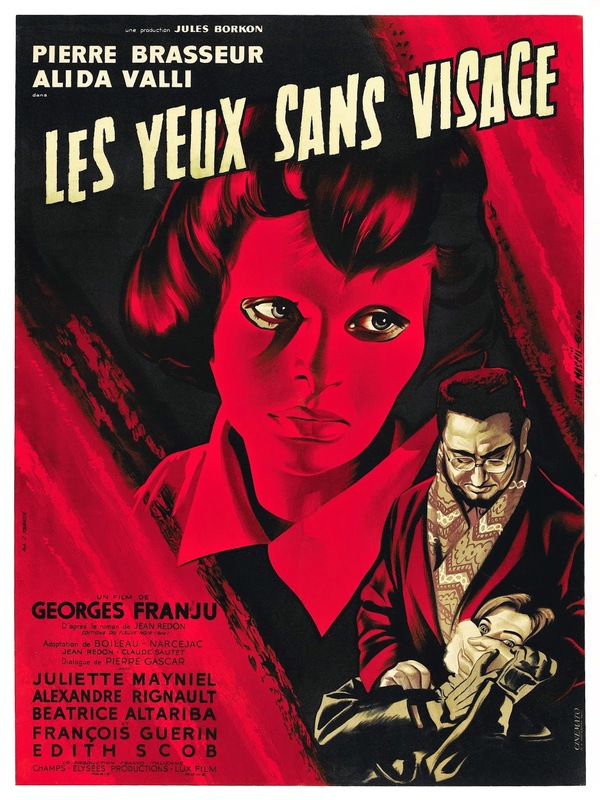 Of all the movies I was hoping to watch this October, Les Yeux sans visage was among those I was most frightened to actually see. Something about the premise and the fact that I'd seen it on a few favorite films lists around the Letterboxd community had me thinking it would be the kind of movie to scare me out of my pants. I didn't find this to be the case at all, but the film does nonetheless deserve to be held among the greatest horror films of all time. It's just that Eyes Without a Face isn't scary. It's beautiful. Its beauty is first and foremost in the visual register. The black and white photography has a simple elegance, and along with the serious sobriety of the atmosphere it runs in stark (but welcome) contrast to the elevated surrealism of the Argento giallos I've been watching recently. The lighting casts evocative shadows, but they never distract from the characters, where the real heavy lifting of the story happens. Dr Génessier is a talented surgeon trying to perfect his skin grafting technique so that he can give his daughter a new face. We feel both Génessier's struggle to offer a better life to his daughter as well as her struggle for independence from her controlling father. "Restrained" would the understatement of the century: there are no cheap tricks here to get audiences to jump out of their seats, and the tension rises instead from what we don't see. Rather than trying for unpredictability and having monsters or murderers jump out from around every corner, Eyes Without a Face accomplishes a profound unity in its narrative. It's not the kind of film that leaves you questioning what will happen next; you know what will happen next, and are all the more horrified because of it. Its interconnected storytelling and use of foreshadowing give the tale a poetic quality rarely found in horror or any other film genre. Also adding to the film's beauty and elegance is the central performance from Edith Scob. She projects a childlike innocence and naiveté, but she also manages a deeper sense of emotional and ethical objection, both to her situation and to her father's solution to it. And she somehow manages this through her body language alone, as a pair of eyes without a face. All these elements come together to create an incredibly rewarding experience, and one which I can only imagine improves even further with multiple viewings. A truly singular beauty.